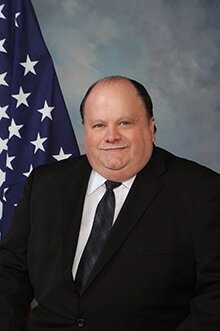 Joseph Pilieri has served on Bensalem Township Council since 1996 and currently holds the position of secretary. In addition to working full time as a Branch Manager with Gateway Mortgage, Joe is also an active member of the Harry A. Houseman Lodge #211 F. & A.M. In the past, Joe has served as Vice President of the Bensalem Chamber of Commerce and Co-Chair of the Eastern State Task Force while also volunteering as a fire fighter with Union and Eddington Fire Companies and serving on the Bensalem Township Zoning Hearing Board. Mr. Pilieri looks forward to continuing to serve on your Bensalem Township Council through 2021.